After the temporary ceasefire, the most important issue, in terms of diplomacy, is returning to the trilateral negotiation process, Vahan Papazyan, a former foreign minister of Armenia, told media on Wednesday. “This is the only way to reach a real solution. The negotiations between Armenia and Azerbaijan cannot give a result. Our diplomacy should do everything possible to return to the trilateral format [including Nagorno-Karabakh],” he said. After four days of fierce battles in Karabakh an agreement on the ceasefire along the contact line was reached in Moscow between the Chiefs of the General Staff of the Armed Forces of Armenia and Azerbaijan. It entered into force at noon on April 5. Azerbaijan’s Defense Ministry also confirmed the agreement on the ceasefire, saying that all military actions in Karabakh were suspended. 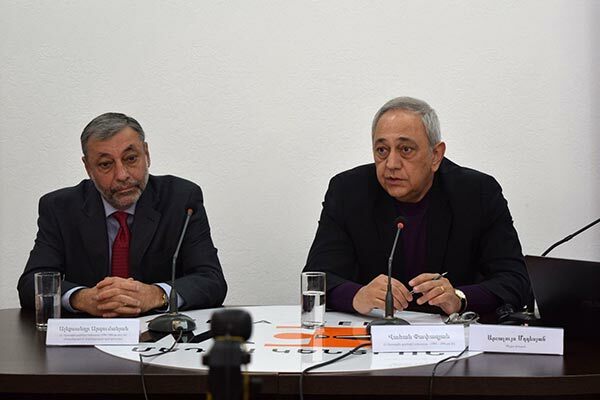 According to opposition MP Alexander Arzumanyan, also a former foreign minister, if the ceasefire agreement is signed, it must be concluded only between Karabakh and Azerbaijan. “The trilateral ceasefire agreement, which was signed in 1994, was violated by Azerbaijan and the latter got its answer. It either has to return to the last agreement and follow its provisions, or it must turn to the NKR and sign a new agreement with it. Armenia has nothing to do here,” he said. Papazyan, in his turn, said that the diplomatic activities, political debate and analysis are of secondary value, if there are still occupied territories by the rival. “Those territories need to be returned: this is the primary task. I mean, the positions which existed until April 1, must be completely restored. If possible, it should be improved for us. I think the rest, at the moment, is meaningless,” he said.